"Now as they were eating, Jesus took bread, and after blessing it broke it and gave it to the disciples, and said, 'Take, eat; this is my body.' 27 And he took a cup, and when he had given thanks he gave it to them, saying, 'Drink of it, all of you, 28 for this is my blood of the covenant, which is poured out for many for the forgiveness of sins. 29 I tell you I will not drink again of this fruit of the vine until that day when I drink it new with you in my Father's kingdom.'" I recently received an assignment that led me to make a fresh study of the Lord's will concerning the Lord's Supper. Even when we have heard numberless studies, it is amazing what we can learn from a fresh study of the communion that Jesus set up to draw us together on the first day of the week and remember His death, resurrection, and promised return. I hope that you can find fresh insight with me in this study. May God bless you. It is vital that we study and examine the different terms that the Bible uses for the Lord's Supper to understand the meaning of its observance. It is important to stress that the Lord's Supper is not a literal "Supper." In the New Testament, the terms for the Lord's Supper are frequently used in a symbolic non-literal way. Since many insist that Jesus made the unleavened bread and the fruit of the vine literally His body and blood, they end up with inaccurate or erroneous conclusions. I must stress that the Lord's Supper is not a meal to satisfy one's hunger. Some in the religious world insist that the Lord's Supper must be a full meal to be eaten as part of their worship. But, they don't accept that this is precisely what the apostle Paul was forbidding the brethren to do in 1 Corinthians 11. Why? Because he explicitly stated in 1 Corinthians 11:34 that "if anyone is hungry, let him eat at home—so that when you come together it will not be for judgment." So if anyone is hungry, he must eat at home. Notice that Paul drew a contrast between their manner of assembly and the correct manner that Jesus wanted. Thus, the word "Supper" in our context does not imply a literal meal or an evening meal. Some insist that the word literally suggests an evening meal, but this is not the case here, for the term stresses the importance of the meal and not the time of the day. Nowhere in the New Testament do you find the early church taking the Lord's Supper at a particular time of the day. In the Old Testament, the Passover feast involved various practices and was eaten in the evening, and it had no relationship to the Lord's Supper. The Passover feast was not even taken on the first day of the week. The Lord's Supper is a symbolic meal that consists of ingesting small amounts of bread and fruit of the vine. In the New Testament the term "Lord's Supper" is used only once and is found in 1 Corinthians 11:20. In 1 Corinthians 11:23-25, the apostle Paul reminds the brethren of what Jesus had previously taught them during the last Passover with His disciples. Now in 1 Corinthians 11:17-34 Paul's issue is "breaking bread" referring to the Lord's Supper versus the breaking of bread, meaning a "common meal." The circumstances of these two different types of meal were to be handled differently. Indeed, we can see a contrast drawn here. For Paul says in 1 Corinthians 11:20 that when they assembled together, it was impossible to eat the Lord's Supper. Why? Because they had replaced it with a common meal and were thus causing division. They were to eat their common meals at home! "22 What! Do you not have houses to eat and drink in?... 34 if anyone is hungry, let him eat at home—so that when you come together it will not be for judgment. About the other things I will give directions when I come." (Verses 22, 34). Paul contrasted this with what they were doing concerning the Lord's Supper. For they were to take the Lord's Supper as a local assembly along with other rules and proper procedures in the assembly. "33 So then, my brothers, when you come together to eat, wait for one another— 34 if anyone is hungry, let him eat at home—so that when you come together it will not be for judgment. About the other things I will give directions when I come." (1 Cor. 11:33-34). Paul rebuked them saying, "When you come together, it is not the Lord's supper that you eat." The apostle Paul corrected the Corinthian brethren for not eating the Lord's Supper when they came together as a church, for they were eating their own meal (One goes hungry, another gets drunk). Paul had to rebuke them saying, "22 What! Do you not have houses to eat and drink in? Or do you despise the church of God and humiliate those who have nothing? What shall I say to you? Shall I commend you in this? No, I will not." (1 Cor. 11:17-22). It was impossible to eat the Lord's Supper the way they were doing it. The word "Supper" is sometimes translated "feast," (Matt. 23:6; Mk. 6:21; 12:39; Lk. 20:46). It refers to an important meal to honor a person or for a special occasion. In John 12:2, Mary and Martha made a special supper to honor Jesus when He visited them. The Lord's Supper is an occasion of special honor. It is a supper of which we partake as part of our worship as a greater memorial meal to honor our Lord and Savior. It is the Lord's Supper! You see suppers were also banquets of feasts associated with weddings or other special events, (Revelation 19:9; Mark 6:21). The Lord's Supper memorializes the death of our Lord Jesus Christ. Our Lord Jesus commanded us to eat the bread in memory of His body and also to drink the cup in memory of His blood, (1 Cor. 11:24-25). It is vital to stress what the term "The Lord's Supper" teaches us. The Lord's Supper honors our Lord and remembers His death, resurrection and His sacrifice by which He gives us forgiveness of sins. So to understand better the nature of the language, it is crucial that we review the Old Testament memorial feast, the Passover, which it was a symbol of the Lord's Supper. "In this manner you shall eat it: with your belt fastened, your sandals on your feet, and your staff in your hand. And you shall eat it in haste. It is the Lord's Passover. 12 For I will pass through the land of Egypt that night, and I will strike all the firstborn in the land of Egypt, both man and beast; and on all the gods of Egypt I will execute judgments: I am the Lord. 13 The blood shall be a sign for you, on the houses where you are. And when I see the blood, I will pass over you, and no plague will befall you to destroy you, when I strike the land of Egypt. 14 'This day shall be for you a memorial day, and you shall keep it as a feast to the Lord; throughout your generations, as a statute forever, you shall keep it as a feast.'" The "pass over" literally describes the act when God slew the firstborn of each of the Egyptian families but "passed over" the houses of the Israelites which had the blood on the door, (Exodus 12:13, 23, 27). Here we see the literal meaning of the term, "pass over." The "feast" that the Israelites were to eat in Egypt and afterward each year was called the "Passover," (verse 11; Ezekiel 45:21; Lk. 2:41; 22:1). The "lamb" that was slain was also called the "Passover," (verses 21, 27; Lk. 22:7; 2 Chronicles 30:15; Ezra 6:10; Mk. 14:12). So when Moses spoke of the feast and the lamb as the "Passover," was he speaking of a literal "pass over"? Absolutely not, for the literal "pass over" was God's act of passing over the firstborn, for it was a symbolic memorial to the literal act. In Exodus 24, the Israelites were at Mount Sinai where God gave the Law and declared the Ten Commandments as well as many other laws for them to obey. God invited Moses, Aaron, Nadab, Abihu, and seventy of the elders of Israel, to worship Him. Only Moses was allowed to come near God. This action implies some critical principle that no one can worship God without a Mediator, for we are sinners. And so, as the Israelites could not approach the mountain of God, neither can we. When the Tabernacle was built, no one could pass through the veil into God's presence. And just like them, we need someone to go before God on our behalf. This could only be done with a Mediator. So, when Moses declared all of God's words and laws, the Israelites answered with one voice saying, "All the words that the Lord has spoken we will do." (verse 4). They understood that God's Grace constrained them to obey. Moses then wrote down all the words of God and His laws to them, and he built an altar for Him at the base of the mountain. "And Moses took half of the blood and put it in basins, and half of the blood he threw against the altar." (Exodus 24:6). Moses proceeded to take the blood of the animal, dividing it in half. Half of the blood went into basins, and the other half was thrown against the altar. The blood against the altar symbolized a divine transaction, for it did not go on the people but on God's altar. Why? Because God is the only one, who can grant forgiveness and atonement. “Behold the blood of the covenant that the Lord has made with you in accordance with all these words.” (verse 8). The sprinkling of the blood implied the people's acceptance of the covenant to do all the LORD had spoken. Thus the blood demonstrated their acceptance or validation of fellowship between them and God. The blood of the Covenant was sprinkled on the altar and the people as a symbol of atonement. The blood of the Covenant was available for them when they failed to keep the Book of the Covenant. Notice what happened next. "9 Then Moses and Aaron, Nadab, and Abihu, and seventy of the elders of Israel went up, 10 and they saw the God of Israel. There was under his feet as it were a pavement of sapphire stone, like the very heaven for clearness. 11 And he did not lay his hand on the chief men of the people of Israel; they beheld God, and ate and drank." (Exodus 24:9-11). So, with the atonement made, the sprinkled blood and the people's acceptance of fellowship, they were able to see the glory of God. After these actions, a covenant meal was offered. A covenant meal was a common event in ancient times to solemnize and ratify an agreement between two parties. We still see in our modern times, world leaders sharing a meal after a treaty or agreement. So, let us consider the order of events before we go to the New Testament to apply this symbolism to the Lord's Supper. First, the blood was shed or poured out. Second, God offered atonement with the blood sprinkled on the altar. Third, the Book of the Covenant was read to the people, who willfully made a covenant or commitment to obey which was symbolized by the blood that was sprinkled on the people. Fourth, the Covenant was confirmed, approved and established between God and His people when the leaders of Israel ate and shared a meal. "23 For I received from the Lord what I also delivered to you, that the Lord Jesus on the night when he was betrayed took bread, 24 and when he had given thanks, he broke it, and said, “This is my body, which is for you. Do this in remembrance of me.” 25 In the same way also he took the cup, after supper, saying, “This cup is the new covenant in my blood. Do this, as often as you drink it, in remembrance of me.” 26 For as often as you eat this bread and drink the cup, you proclaim the Lord's death until he comes." (1 Cor. 11:23-26). Shortly before Jesus was arrested, put on trial and crucified, He took a moment while being in the upper room with His disciples to establish an important reminder. Jesus instituted the Lord's Supper with the little time He had left on this earth. It is crucial that we understand the significance of the Lord's Supper since Jesus spent His last moments here on earth establishing this memorial. What we do when we partake of the Lord's Supper is of extreme importance. So, what exactly are we doing when we partake of the Lord's Supper? What must we be remembering? How must we meet the commands that our Lord Jesus Christ left for us to follow? We will consider these things as we study 1 Corinthians 11:23-34. On the night when Jesus was betrayed, He took bread, gave thanks and broke it, and said, "This is My body." I must stress Jesus is speaking metaphorically here. There is no word in this Scripture that implies that Jesus was speaking of the bread literally turning into His body. It would have made no sense to His disciples in the upper room when He made this statement. Why? Because His body was still present with them. Jesus was saying that when they took and ate the bread as a remembrance of Him, the memorial, the bread represented His body. Jesus said, "This is My body, which is given for you. Do this in remembrance of me." Jesus wants us to remember the sacrifice of His body. Notice how well that ties with Exodus 24. For the blood to be poured out first, the death of the perfect lamb must occur. So, what exactly did Jesus want us to remember when He said that the bread represented His body? Did He only want us to think about His physical body? It will be absurd for Jesus to demand that from us since no one who is alive now has ever seen Jesus' physical body. But we can discern and understand historically from the Scriptures the amount of suffering that Jesus engaged in on our behalf. When we think about the body of Christ, we are thinking about the enormous sacrifice that Jesus undertook for us. It is critical to stress the significance of Jesus' physical anguish that He suffered as an innocent man. Jesus was sinless, not a criminal and had done nothing wrong to suffer such physical pain and humiliation! Our Lord Jesus did not deserve all that He experienced as even Pilate himself admitted!! "For he grew up before him like a young plant, and like a root out of dry ground; he had no form or majesty that we should look at him, and no beauty that we should desire him. 3 He was despised and rejected by men, a man of sorrows and acquainted with grief; and as one from whom men hide their faces he was despised, and we esteemed him not. 4 Surely he has borne our griefs and carried our sorrows; yet we esteemed him stricken, smitten by God, and afflicted. 5 But he was pierced for our transgressions; he was crushed for our iniquities; upon him was the chastisement that brought us peace, and with his wounds we are healed." Indeed, this is a reminder to us of what the body of Christ had to suffer! "He himself bore our sins in his body on the tree, that we might die to sin and live to righteousness. By his wounds you have been healed." (1 Peter 2:24). In our text, the body represents the shame, the humiliation and the suffering that Jesus had to endure when He came to earth in the form of a man, allowing His creation to put Him to death. Thus, when we partake of the bread and remember His body, we must remember these essential elements. Jesus did not only want us to remember the suffering that His body had to undergo but also the enormous sacrifice He had to make for each of us. Carefully reflect on Jesus' words again found in Luke 22:19, "This is My body, which is for you; do this in remembrance of Me." Some translations say, "which is broken for you." It is important to stress that the reason why some translations don't use that phrase anymore is that many of the ancient manuscripts do not use the word "broken" in them. But we must be careful not to misunderstand or misinterpret the phrase, "broken for you." Why? Because the body of Jesus was never broken according to the Scriptures. We can obviously see this in John 19:32-36 when the Roman soldiers tried to break Jesus' legs to haste His death. When the soldiers came to break His legs, they noticed that Jesus was already dead and thus did not break the legs. The purpose of this was to fulfill what the Scriptures said, “Not one of his bones will be broken.” (John 9:36). For Jesus not to have one broken bone is a symbolic statement to show that He died in favor with God. In the Old Testament when an animal died with broken bones, he was not an acceptable sacrifice for atonement to God. A broken Jesus could have never been acceptable to God according to the Law. Furthermore, the Old Testament describes the wicked as having their bones broken while the righteous will not. We find this idea in Psalm 34. It is extremely important that Jesus' bones not be broken to fulfill the prophecy. In 1 Corinthians 11:24 notice that the bread is broken, for Jesus took the bread, broke it and said, “This is my body, which is for you. Do this in remembrance of me.” The bread here represents His body. When the Bible speaks of Jesus being broken, it is speaking metaphorically about the suffering and anguish that He had to endure for the death of His physical body. However, His body was not broken in a spiritual and physical sense, for His body was raised from the tomb three days later. One may wonder why the bread is different and why it is unleavened bread. In Luke 22:13-20, when Jesus instituted the Lord's Supper it was nearly the time for the disciples to make preparations to keep the Passover. The Old Testament explicitly specified unleavened bread along with meat and bitter herbs, etc. So, Jesus instructed the disciples to make preparations for the Passover. It was the day on which the Passover Lamb must be sacrificed for the people to be delivered. Jesus commanded Peter and John to make preparations for the Passover. This was the time when all Jews were commanded to come to Jerusalem. The Law commanded a room in which the family could eat the Passover meal, keeping the regulations of the Law. In verse 19, Jesus takes the bread. The bread was to be unleavened bread during the Passover, for it symbolized the removing of filth and lawlessness. One of the preparations was to completely remove all leaven from the house and make the bread. "3 You shall eat no leavened bread with it. Seven days you shall eat it with unleavened bread, the bread of affliction—for you came out of the land of Egypt in haste—that all the days of your life you may remember the day when you came out of the land of Egypt. 4 No leaven shall be seen with you in all your territory for seven days, nor shall any of the flesh that you sacrifice on the evening of the first day remain all night until morning." (Deut. 16:3-4). Hence, when Jesus partook of the bread and gave thanks, He and His disciples used unleavened bread since all leaven must be removed from the houses in preparation for the Passover. We Christians must follow this pattern of giving thanks for the offering of Jesus as the sacrifice for our sins to be set free from them. Then Jesus proceeds to break the bread, giving it to His disciples while He was explaining the meaning of this act. During the Passover meal, the bread represented affliction and suffering that they experienced while living in Egypt. Who would have thought this bread was 1500 years old! What About the Cup? Are we authorized to use cups or must we use only one cup? Sadly, some brethren have divided the church over this doctrine demanding that the congregation use only "one cup" no matter how big. Brethren, this is false doctrine! In Matthew 26:27, Jesus said, "the cup." In verse 29, He said, "this fruit of the vine" to explain "the cup." We must allow the Bible to explain itself! Some argue that "Drink from it, all of you," implies that every person must touch his lips to the one cup. Indeed, if "cup" implies a literal material cup, then we must break it into pieces and drink the pieces. With the "cup" we "bless" the "cup," we "divide" the "cup," we "drink the cup," (1 Cor. 11:27). For the Lord Himself said, "whoever eats this bread or drinks this cup." So how can anyone believe and teach that the "cup" is the physical container after reading these verses? If that were the case, is the table of the Lord a literal table made of wood or metal? Obviously not! Hence, the "cup" means its contents, the fruit of the vine as Jesus said in Matthew 26:29. Since the bread represents all that we have just described about the body of Christ, then what does the cup represent? Do you think the cup symbolizes the same thing as the bread? Let us carefully examine 1 Corinthians 11:25. "This cup is the new covenant in My blood." Here, Paul is not saying that Jesus was only referring to His blood. For if Jesus was implying that, then we can assume that we must also remember the same thing twice. However, the cup in our text represents the covenant of His blood. So, what does Jesus command us to remember each Lord's day when we partake of the fruit of the vine? If we read this verse carefully with understanding, we can infer that the cup that we drink reminds us of the ratification and approval of the New Covenant that we are living under today. This New Covenant could have never been put into effect without the blood of Jesus. "16 For where a will is involved, the death of the one who made it must be established. 17 For a will takes effect only at death, since it is not in force as long as the one who made it is alive. 18 Therefore not even the first covenant was inaugurated without blood." (Hebrews 9:16-18). "22 Indeed, under the law almost everything is purified with blood, and without the shedding of blood there is no forgiveness of sins." (Hebrews 9:22). "14 how much more will the blood of Christ, who through the eternal Spirit offered himself without blemish to God, purify our conscience from dead works to serve the living God." (Hebrews 9:14). The blood of Christ is not so much about the suffering, as it is about the forgiveness of sins that gives us life through Christ through the New Covenant. The blood of Christ reminds us that we are dead to God because of our sins and how God made us alive through Christ. We remember exactly how God rescued us from the dominion of sin, that we may be translated into His kingdom of Light, (Colossians 1:13). The "blood of the covenant" calls to mind how the first covenant, the Law of Moses was established. After Israel was given God's commandments, Moses sprinkled blood on the people and the Book. Then they were able to enter into a covenant relationship with God. With the blood of Christ, we can enter into a covenant relationship with God. The Covenant that was initiated by Christ' blood is the Covenant that gives us forgiveness of sins. Even more, it is a statement that shows that we belong to Jesus, marked by His blood for obedience, (Hebrews 9:13-22). Christ's death is portrayed as a sprinkling of blood for the new covenant that we are under. Death is required for a "last will and testament" to be effective. The sprinkling of blood symbolizes the atonement and forgiveness that was offered through the covenant. Jesus explains in Matthew's account that the fruit of the vine symbolizes the blood of the covenant that Jesus was soon to shed for the forgiveness of sins, (Matt. 26:27-28). "Peter, an apostle of Jesus Christ, to those who are elect exiles of the Dispersion in Pontus, Galatia, Cappadocia, Asia, and Bithynia, 2 according to the foreknowledge of God the Father, in the sanctification of the Spirit, for obedience to Jesus Christ and for sprinkling with his blood: May grace and peace be multiplied to you. Thus, we must remember the Covenant that brings us back, reconcile us into a relationship with God. " (1 Peter 1:1-2). The apostle Peter ties obedience to Jesus and sprinkling with His blood. Thus, we are bound by covenantal obedience by His blood. We commit ourselves to the Lord as we partake of the cup which is Jesus' blood of the covenant. This fits well with Paul's teaching in 1 Corinthians 11 about the Lord's Supper. In 1 Corinthians 11:23-25 the apostle Paul quotes what Jesus said when He instituted the Lord's Supper. But notice what Paul said next. "26 For as often as you eat this bread and drink the cup, you proclaim the Lord's death until he comes." (1 Cor. 11:26). Paul sheds light on the symbolism of the bread and the cup. When we focus on the blood of this covenant, we proclaim our commitment to obey our Lord until He comes again, even as Israel in Exodus 24 received the sprinkling of blood as they committed themselves to keep the covenant of God. I know you might say that Paul is not talking about a proclamation of our obedience but rather a proclamation of the Lord's death. Just like the Passover was a reminder to the nation of Israel from Egyptian slavery and their redemption as they were led from such slavery to the promised land, so also by partaking of the Lord's Supper, we proclaim our freedom from the slavery of sin, Satan and death. For as we remember our Lord's sacrifice and the covenant He gave us, we not only are sorrowful because of our sins and what they have done to Him, but we are proclaiming to one another and outsiders, celebrating our standing before God because of Christ's sacrifice. By doing this, we are proclaiming to all that we are children of God and are redeemed by the precious blood of the Lamb! In 1 Corinthians 11:27-32 Paul stresses what it really means to proclaim the Lord's death. "27 Whoever, therefore, eats the bread or drinks the cup of the Lord in an unworthy manner will be guilty concerning the body and blood of the Lord. 28 Let a person examine himself, then, and so eat of the bread and drink of the cup. 29 For anyone who eats and drinks without discerning the body eats and drinks judgment on himself. 30 That is why many of you are weak and ill, and some have died. 31 But if we judged ourselves truly, we would not be judged. 32 But when we are judged by the Lord, we are disciplined so that we may not be condemned along with the world." Here Paul is not talking about the number of cups that must be used or how quickly the elements must be passed or if the bread is prepackaged or homemade. Paul is explicitly speaking about a thorough examination of ourselves when we eat. Why? Because when we partake of the Lord's Supper, we are making a declaration about the Lord's death and that we will obey whatever our Lord had commanded us to do. The Lord's Supper is our proclamation to the world, to one another and the Lord that we will keep His covenant. When we partake of the bread, we remember the body of our Lord and Savior, Jesus Christ who was sacrificed on the cross so that atonement could be offered to the world. Our hearts must be focused on the death of our Lord Jesus. When we partake of the fruit of the vine, we remember the blood of the covenant. By doing this, we are declaring our agreement, acceptance, ratification, consent of the covenant, receiving atonement and faithfully proclaiming to do all that has been written in the Book of the Covenant. The blood of Jesus is sprinkled on the people to indicate our fellowship with the Lord, for He died to bring forgiveness and salvation through the New Covenant. Thus, atonement for our sins has been made, and proclamation must be made by us that we will do all that He has commanded us to do until He comes again. Therefore, Paul commands us to examine our hearts when we are partaking of the Lord's Supper. Why? Because we Christians, the redeemed, must take this special moment to discern and understand what we are professing as these elements are passed. In doing this, we are declaring our commitment and faithfulness to this covenant. For we are not just eating and drinking but proclaiming our Lord's sacrifice and death on the cross! A death that gave us life to obey Him and to honor His Lordship. We indeed are proclaiming our participation in His New Covenant with us. We also proclaim our obedience to God's Grace given through our Lord's death. So, we must judge ourselves that we may not fall under God's judgment, but dedicate ourselves to keep the covenant with your Lord. We break the bread to participate in the body of Christ, and we drink the cup as our participation in the blood of Christ. The Lord’s Supper not only looks back to that historical event, but it also looks forward to the hope of Jesus’ return. There is no great power in the redemptive death of Jesus without His resurrection and ascension and the promise of His return. He comes again to take us home to be with Him forever, to give us the crown of glory and the joy of His presence!! If we lose sight of this significance, our worship is hindered. If we are distracted by worldly cares or by numberless distractions that race through our heads, we must stop and think about what we are doing. Jesus is worthy of our best, our deepest devotion! The apostle Paul focuses on the manner that we take the Lord’s Supper (27). Paul does not demand that we be worthy personally and individually to take the Lord’s Supper. Some of us read the verse carelessly and refuse to take the Lord’s Supper because we don’t feel worthy. Some churches have been known to assemble for this purpose, then leave the elements untouched declaring that everyone feels too unworthy. Thus, they disobey the Lord, declaring a false humility. There is almost a boast in refusing the memorial. Of course, no one is worthy of the sacrifice of Christ or even to untie the sandals of Jesus’ feet. But you say, you have sins in your life that you have not corrected. What are you waiting for? Don’t you know, that even your prayers are an abomination to the Lord if you continue in your sins? Why do you sing praises to the Lord with unclean lips? Do you think that He is pleased? The point of the verse is that the manner of taking the Lord’s Supper must be according to the principles that we are discussing in this chapter. The solution to the problem is expressed in verse 28. “Let a person examine himself, then, and so eat of the bread and drink of the cup.” The key idea is expressed by various words, such as examine, discerning, judgment, weak, ill, died, judged, disciplined. Our security with God depends on our righteous and holy standing with Him. Throughout the Old Testament as well as the Revelation, the prophets present God with the “plumb line” or a “reed” measuring His people, (Amos 7:7-8; 2 Kings 21:13; Zechariah 2:1-5; 4:10; Isaiah 28:10-17; 34:11; Revelation 11:1; 21:15) We must “measure” ourselves, repent of what we are doing wrong both in our hearts and by our actions one toward another. God will certainly be watching and will condemn us if we don’t. We can lose our souls over how we observe the Lord’s Supper. If we judge ourselves (31), and worthily observe the Lord’s Supper, God will not judge us. The question of God’s discipline in this context, together with the description of many as weak, ill, and even dead, has always troubled me. Clearly, Paul’s corrective words were disciplinary, and the Corinthians who were walking in carnality or immaturity were weak, ill and spiritually dead. Had God actually struck down some of the Corinthians like he did Ananias and Sapphira? We don’t have specific details about what had happened, so we are not free to speculate. The fact remains, the issues surrounding the Lord’s Supper are very serious. God loves us! He loves His little children who are injured by the carnality of their brethren. It matters when the communion and unity of the church are profaned. Does it really matter what we drink when we drink the cup of the Lord? Should the fruit of the vine be juice or alcoholic wine? Why grape juice? Why do we use grape juice instead of Coca-Cola, water, apple juice, milk or something else? We are not commanded to use fermented, alcoholic wine as the fruit of the vine in the Lord's Supper. The Bible teaches that it is sinful to drink even socially. It is absurd, out of place, to use that which is sinful when remembering the blood of Jesus that was shed to purchase us for God, (Acts 20:28; 1 Corinthians 6:20; 1 Peter 1:18,19). It is vital that we stress that even though the Passover was a type of the sacrifice of Christ, there was absolutely no wine associated with its institution or observance until many, many centuries after God commanded this feast. In 1 Corinthians 5, there is a significant reference to Christ as our Passover. Our context is applied to church discipline and the matter of a brother who was committing the grossest of fornication (verse 1). Paul's remedy to the matter was to remove the sinning brother from the church, thus removing that leaven. His leaven was a bad influence on the Lord's church. Why remove it? So that they could be a new (clean) lump. We as Christians are to be unleavened (free from outside influences and impurities). Therefore, leaven is portrayed as unwanted pollutants. So why would God forbid a leavening influence in the church (the Body of Christ) and yet permit it in the bread (the body of Christ) or the fruit of the vine (the blood of Christ) as we keep the feast in an unleavened manner of sincerity and Truth (verse 8)? And though Jews today and other religious groups use wine in their Passover feast, we must not conclude that we are authorized to do so in our Passover remembrance of Christ. For such a conclusion is without any foundation whatsoever. Wine was never used nor authorized in the New Testament. Those who advocate fermented wine on the Lord's table find no solace. There are two main Greek words translated for wine. The first (oinos) is the usual word for intoxicating wine. The other (gleukos) is a word found only one time, (Acts 2:13) and is referred to as fresh-squeezed juice. It was sometimes called new wine. When Jesus instituted the Lord's Supper, He said, "28 for this is my blood of the covenant, which is poured out for many for the forgiveness of sins. 29 I tell you I will not drink again of this fruit of the vine until that day when I drink it new with you in my Father's kingdom.” (Matthew 26:28-29). Notice that Jesus explicitly commanded what they must drink and that was the fruit of the vine. The fruit of the vine is grape juice, fermented or unfermented in the ordinary Jewish language. Therefore, we must use the fruit of the vine, i.e., grape juice. Jesus did not imply alcoholic wine. He simply implied the fruit of the vine. He used the word "fruit" which is also translated "offspring," as for example it was used when He rebuked the unbelieving people of His day saying, "Ye OFFSPRING of vipers, how can ye, being evil, speak good things? for out of the abundance of the heart the mouth speaketh." (Matthew 12:34). And again, "Ye serpents, ye OFFSPRING of vipers, how shall ye escape the judgment of hell?" (Matthew 23:33). This word is related to that which is generated or begotten. The only thing from a vine that is created or begotten is its berry or the juice from its berry, not alcohol. That is something that is produced as a by-product through a process. Therefore, we conclude that the use of fermented, intoxicating wine on the Lord's table is not authorized and is therefore sinful. Why? Simply because there is no precedence for its use in the Old Testament. Neither word for wine in the New Testament is associated with the Lord's Supper. And because the fruit of the vine is explicitly that which is generated on the vine (the berry), not alcohol. Hence, we must not pollute the Lord's Supper with any form of leaven (or yeast) in the bread which we eat nor in the juice which we drink. How often should Christians remember Jesus' death? When should we eat the Lord's Supper? Should we commune on the first day of the week, Sunday or another day? Indeed, these are very critical questions to answer since many religious groups and denominations eat the Lord's Supper (the unleavened bread and fruit of the vine), weekly, monthly, quarterly, on special holy days, annually or just when they feel like it. We must carefully examine the teachings of Christ concerning the time and frequency of partaking of the Lord's Supper. Sadly, some "churches of Christ" have begun taking the Lord's Supper on days other than what Jesus commanded, the first day of the week. Some brethren have even dared to say that it is simply a matter of personal conscience, for it is not a matter of right and wrong. Indeed, we must have Bible authority for everything that we do when serving God. We must not under any circumstance participate in any practice unless it is authorized in the Gospel of Christ. If God's Word commands us to do something, then we must do it just as He has commanded to do it and not change it. Period! Our worship to God is vain when it is based on human doctrines, (Matthew 15:9). When we follow man-made doctrines that conflict with or differ from the Gospel, we are cursed by God, (Galatians 1:8-9). When we refuse to abide in the teachings or doctrines of Jesus, we do not have God, for we must abide in Jesus' teachings to have the Father's approval, (1 John 9). The Bible is our only complete and perfect guide to do everything that God wants us to do, (2 Timothy 3:16, 17; John 16:13; 2 Peter 1:3). When God tells us what to practice, we must do it without arguing, for it is wrong to do something different even when He did not expressly say it. If God says to do one thing, but then we do something else, we are following human doctrines, and of course, a different Gospel and our worship to God is in vain. We don't have God. God teaches us not just by commands and direct statements but also by example and "necessary inferences." To abide in Jesus' teaching or doctrines, we must do His will in everything. God states His will sometimes through direct commands and statements. But other times, His will is taught by examples and by implications that force us to make the necessary conclusions to follow what is stated. In 1 Peter 2:21, we read that Jesus left us an example that we must follow His steps. Likewise, Paul gave us an example to follow as a pattern. Thus, we must do the things seen and heard in Paul to imitate Christ as he himself imitated Christ. We must exercise our senses in careful Bible study so that we can discern the Truth according to God's will. We must listen to all things taught by Jesus, (Acts 3:22-23). We must live by every word from God's mouth, (Matt. 4:4, 7). Remember, that when Satan quoted passages to Jesus, Jesus quoted another passage to show the devil how he had misused the Scriptures, and so must we. When we take all the information revealed in the Word of God on any given subject, we find that there is only one way revealed for doing a thing. In doing this, we can rest assured that we are following the right pattern ordained by God. 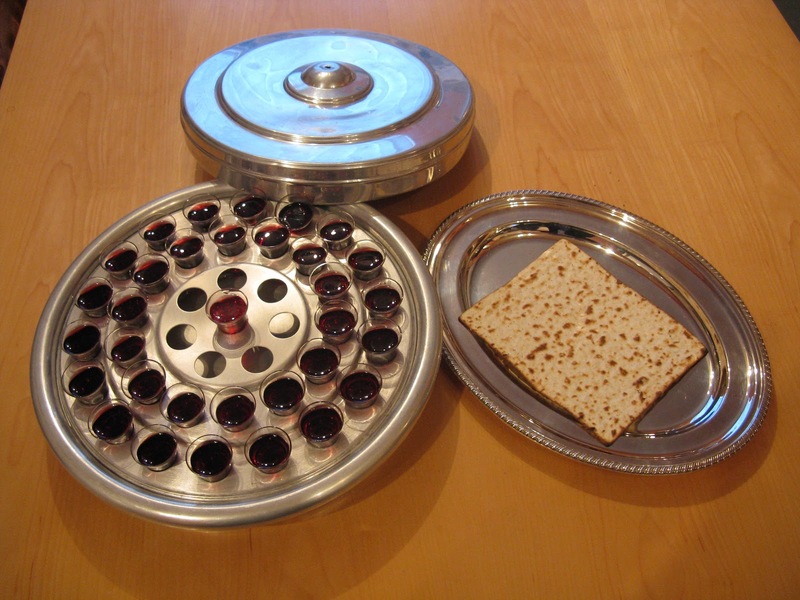 Most religious groups or denominations do not partake of the Lord's Supper every week, even though they assemble on the first day of the week, which is Sunday. The Lord's Supper is mostly kept once a year and even quarterly. So, why do we partake of the Lord's Supper every Sunday? In Acts 20:1-7, we are told when the New Testament church observed the Lord's Supper. "After the uproar ceased, Paul sent for the disciples, and after encouraging them, he said farewell and departed for Macedonia. 2 When he had gone through those regions and had given them much encouragement, he came to Greece. 3 There he spent three months, and when a plot was made against him by the Jews[a] as he was about to set sail for Syria, he decided to return through Macedonia. 4 Sopater the Berean, son of Pyrrhus, accompanied him; and of the Thessalonians, Aristarchus and Secundus; and Gaius of Derbe, and Timothy; and the Asians, Tychicus and Trophimus. 5 These went on ahead and were waiting for us at Troas, 6 but we sailed away from Philippi after the days of Unleavened Bread, and in five days we came to them at Troas, where we stayed for seven days. 7 On the first day of the week, when we were gathered together to break bread, Paul talked with them, intending to depart on the next day, and he prolonged his speech until midnight." In verses 1-6, Paul and his traveling companions left Philippi in Macedonia on a journey to Jerusalem after the days of the unleavened bread (the Jewish Passover, verse 6). It took five days for them to go from Philippi to Troas. Once they arrived there, the waited seven days. In verse 7 the disciples came together (on the first day of the week) to break bread. Paul preached to them and spoke to them until midnight. Paul was planning to leave the next morning. The term, "break bread" refers to the Lord's Supper as in Matthew 26:26; Mark 14:22; Luke 22:19; Acts 2:42; 1 Cor. 10:16 and 1 Cor. 11:23-24. In some contexts, this phrase plainly refers to a common meal, (Acts 2:46) but it is not the case here. For if this were a common meal, Paul would have violated his own teaching in 1 Cor. 11! In verses 8-16 during Paul's long speech, Eutychus fell asleep and fell out from a window and was killed. But Paul raised him from the dead. Afterward, Paul left at daybreak as planned, (verse 13). They were hurrying to make it to Jerusalem by Pentecost, (verse 16). They celebrated Pentecost fifty days after Passover, (Lev. 23:15-16). They only had fifty days to make this journey, (verse 6). So, we conclude from Acts 20:1-7 that the Lord's Day is "the first day of the week." I must stress that God teaches us by examples and not just commands. The nature of the language in these verses indicates the frequency for the Lord's Supper, every first day of the week. When God stated a time to do something in the Old Testament, such as keeping the Sabbath holy, it had to be done as frequently as that time occurs. By the same token, the first day of the week when Christ's disciples must come together to break bread should be our pattern every week. The Gospel explicitly declares that the church, the disciples came together on the first day of the week to break bread. So we must follow the example or pattern given to us by God when we come together to have the Lord's Supper. Again, Acts 20 plainly explains that the disciples came together on the first day of the week, Sunday, to break bread. We are not given no evidence that indicates that the church assembled together on any other day to break bread. The evidence points to the first day of the week, for it was when they normally met. Acts 20:7 is God's divine pattern of usual practice. God has given us a memorial and has commanded us to observe it. We must believe and respect Bible examples when God commands us to participate in His authorized memorials, to come together to break bread each first day of the week. God has told us when to do it and how often to do it. Local churches must respect God's Word regarding the Lord's Supper. You see in Acts 2:42 we are given an example regarding the Lord's Supper and assemblies. The first congregation of God's new converts "continued steadfastly" in breaking bread and in the apostles' doctrine, prayer, etc. The breaking of the bread was not a common meal, but rather an act of worship. I must stress that 1 Cor. 11 forbade having a common meal in worship meetings. And though the phrase, "continue steadfastly" does not define how often the disciples observed the Lord's Supper, it does indeed tell us that it was a regular event commonly done among them and that they were practicing it diligently. So we must follow the examples of the early church in the Bible to know how we must proceed, (Acts 20:6-7). The Lord's Supper is called the "breaking of bread," (Acts 2:42; 20:7) and the "fruit of the vine," (Matt. 26:20) or "the table of the Lord," (1 Cor. 10:21). The Lord's Supper was instituted "the night He was betrayed," (1 Cor. 11:23) and when they ate the Last Supper, (Matt. 26:17-20; Lk. 22:14-15). In Mattew 26:26, Jesus established a special memorial while the apostles were reclining around the table in the upper room. Matthew's account affirms that Jesus "blessed" the bread. Luke's account declares that Jesus "gave thanks," (Luke 22:19). And though the wording might be different, the concept is the same. When Jesus "blessed" the bread, He gave "thanks" for it. When Jesus "blessed" the bread, He was giving thanks for it, and it is our responsibility to give thanks also. During the Passover feast, there was only one kind of bread that was allowed, unleavened bread, (Exod. 12:15). That was the bread that Jesus specifically commanded that His disciples should eat. Therefore, we must use unleavened bread today in the Lord's Supper memorial, though the New Testament does not explicitly command it. Another reason for using unleavened bread is that it symbolizes purity and hence is more appropriate to represent the sinless body of Christ, our Lord. In Luke 22:10, Jesus said, "This is My body which is given for you; do this in remembrance of Me." By Jesus declaring this, it demonstrated His purpose in distributing unleavened bread to represent His body. He was establishing a memorial by which He wanted His disciples to remember Him and the great sacrifice He was about to make. He made the same statement later when He blessed the cup, (1 Cor. 11:25). According to Acts 20:7, the early church gathered together on the first day of every week, Sunday, to remember Jesus' death, partaking of this memorial. Today is no different. Each faithful Christian must do exactly the same thing in the assembly on the first day of the week. The Lord's Supper is extremely important and thus must be done correctly and with the right frame of mind. The apostle Paul warns us about partaking it in an unworthy manner. Hence, we must partake of this extraordinary memorial of our Lord with solemnity and joy as we remember His death and the new covenant relationship we enjoy from Christ's blood. When we partake of the Lord's Supper, we must look backward. Why? Because we must focus on the past, reflecting on Jesus death and crucifixion 2,000 years ago. We must also reflect on the symbolic elements of the memorial (the bread and the fruit of the vine which represent His body and blood, 1 Cor. 11:23-25). We proclaim the Lord's death on the cross when we partake of this very special memorial. We must sorrow deeply when considering why Jesus died. He did it for you and me!! We must likewise consider Jesus' physical torture and what He went through for His enemies (sinners of this world, yes you and me!) when partaking of the bread and the cup. So how are we proclaiming His death through such a memorial? Simply by affirming our faith, that Jesus died for the sins of the world. We must proclaim His death the rest of our lives as a proclamation of that Truth! We must look forward when partaking of the Lord's Supper, that is to the future when Jesus our Lord will come again. The Lord has commanded us to partake of this memorial on a weekly basis until we die or until He comes again, (1 Cor. 11:26). We must rejoice, looking forward into the future knowing that this world is not our permanent home, for we know and wait for a better place, a heavenly home prepared for the faithful of the Lord. Partaking of the Lord's Supper reminds us that Christ will come again. We must look forward to the future judgment. We must look inward when partaking of the Lord's Supper, that is, we must examine ourselves as we partake of this very special memorial in a worthy manner, (1 Cor. 11:27-29). We must look into our hearts and judge ourselves. Are we living holy and godly, the way we must? Are we doing everything according to His authority? We must discern the Lord's body, (verse 29), turning inward, and reflecting on the high price that was paid for our redemption at Calvary. For if we don't do it this way, we are not partaking of the Lord's Supper correctly and we are not pleasing God. We must give thanks to God the Father when we partake of the Lord's Supper for the great love He has shown us, (Col. 3:17). We must offer prayers of gratitude and thanks for Christ's sacrifice and God's matchless love! He has richly blessed us by providing a way to come back to Him and be reconciled and be saved through Jesus our Lord. Jesus died to make propitiation for our sins, (1 John 2:2). His great sacrifice of love must compel our hearts to proclaim what Israel proclaimed, "All that the Lord has spoken we will do." We must keep everything in the new covenant, for we are commanded to do all as He has commanded us to do. His blood frees us from God's wrath, the judgment we deserve because of our sins. His blood demands that we love Him, serve Him and obey Him with all our heart, soul, mind and strength. So each week when we assemble together, we are commanded to remember Jesus' body and the blood of the covenant, renewing our covenant commitment to the Lord as we strive to obey Him. Jesus is our Passover, (1 Cor. 5:7) for He is our Deliverer. His blood causes God's wrath to pass over us, for we do not receive what we deserve since Jesus has already given His life for us. Our Passover has already been sacrificed, and we owe Jesus everything!! Therefore, let us with a grateful heart remember this very special memorial every Sunday. The Lord's Supper memorializes Jesus' death. So we must honor the Lord and remember His death and sacrifice by which we may receive forgiveness of sins. Hence, we must show our consecration to Christ, our separation from the world and our unity as members of His body. May we honor Jesus our Lord when partaking of this very special memorial and be grateful for His sacrificial death on the cross for the forgiveness of our sins. May we be reminded weekly of Jesus' matchless love and sacrifice as we remember this memorial. May we look forward to each week and strive not to forsake this memorial on every Sunday assembly. May we partake of the Lord's Supper, giving thanks to God the Father for the great love He has shown to us. May we examine our hearts and partake of this special memorial in a worthy manner. And may we practice His traditions faithfully and strive to teach them to others so that they are never forgotten. Amazing pity, grace unknown! And love beyond degree. When Christ, the mighty Maker, died For man the creature’s sin. Dissolve my heart in thankfulness And melt mine eyes to tears. Here, Lord, I give myself away, ‘Tis all that I can do.